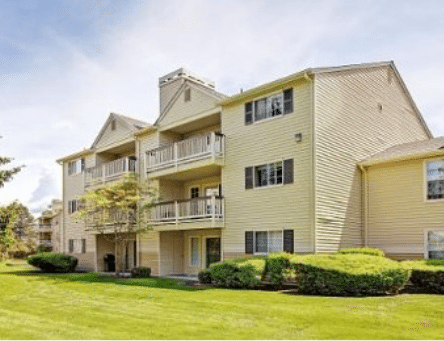 New York – Admiral Capital Group and Security Properties today announced the successful sale of Waters Edge Apartments, a 304-unit multifamily property located in Kent, Washington, in the Seattle MSA on November 30, 2016. Admiral and Security Properties acquired the apartment community in February 2015 through a joint venture. The investment provided an opportunity to purchase a well-located asset in the fourth largest manufacturing and distribution center market in the United States at a discount to replacement cost. During its ownership, the joint venture repositioned the property by curing deferred maintenance, enhancing the exterior and upgrading unit interiors. Select exterior improvements included re-siding the entire property, replacing wooden decks and installing a new playground amenity. Interior renovations included modernizing kitchen cabinets, appliances and flooring and renovating bathrooms. Overall, the upgrades repositioned the property to compete with higher quality assets with higher overall rents. “Waters Edge is representative of the opportunities we like to target. By executing an extensive renovation plan, including a complete re-side, the partnership was able to enhance the asset’s physical condition to accurately align with its submarket-leading location,” said Barrett Sigmund, Senior Director of Investments at Security Properties. Philip Assouad and Giovanni Napoli, commercial real estate brokers with Kidder Mathews, handled the Waters Edge sale. The sale represents the ninth realization for Admiral in its first value-add real estate fund, Admiral Capital Real Estate Fund, L.P. (“ACRE I”). To date, Admiral has invested in 14 assets with an aggregate purchase price of over $370 million and continues to actively pursue value-add opportunities in top 25 MSA’s. Admiral Capital Group (“Admiral”) is a real estate and private equity investment firm with offices in New York, San Antonio and Seattle. Admiral was co-founded by David Robinson, US Naval Academy graduate, philanthropist and NBA Hall of Famer, and Daniel Bassichis, formerly of Goldman Sachs. Admiral Primarily invests in real estate through a partnership with USAA Real Estate Company and targets value-add opportunities in office, multifamily, hotel and retail properties. Admiral has acquired over $500 million of real estate assets since 2008. Admiral’s founders also have pledged 10% of their profits to philanthropic causes in certain areas where Admiral invests, building on Robinson’s lifetime commitment to support education and lower-income communities. For more information, visit www.admiralcg.com. Security Properties is a national real estate investment and operating company headquartered in Seattle, Washington. For more than 47 years, Security Properties has provided quality housing to its residents, as well as excellent financial performance for its investors. Since its founding, Security Properties has acquired or developed over 80,000 residential units at a cost of over $4 billion. Security Properties maintains a focused multi-family strategy supported by integrated teams of professional acquisition, development, construction, investment, and property management specialists. For more information, visit www.securityproperties.com.